Q. How do I quickly access my services or what was previously known as E-forms? 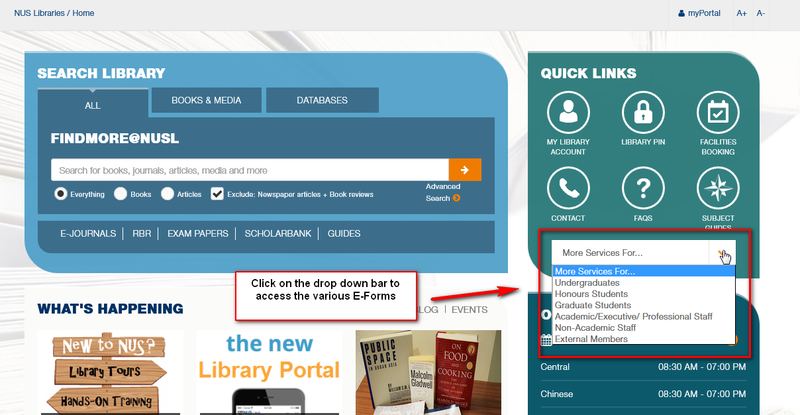 Electronic forms or E-forms are now centralised under the More Services For .. section of the library homepage. Select the appropriate user group to access a list if library services available to you. This includes services that require usage of a E-forms and others which does not.